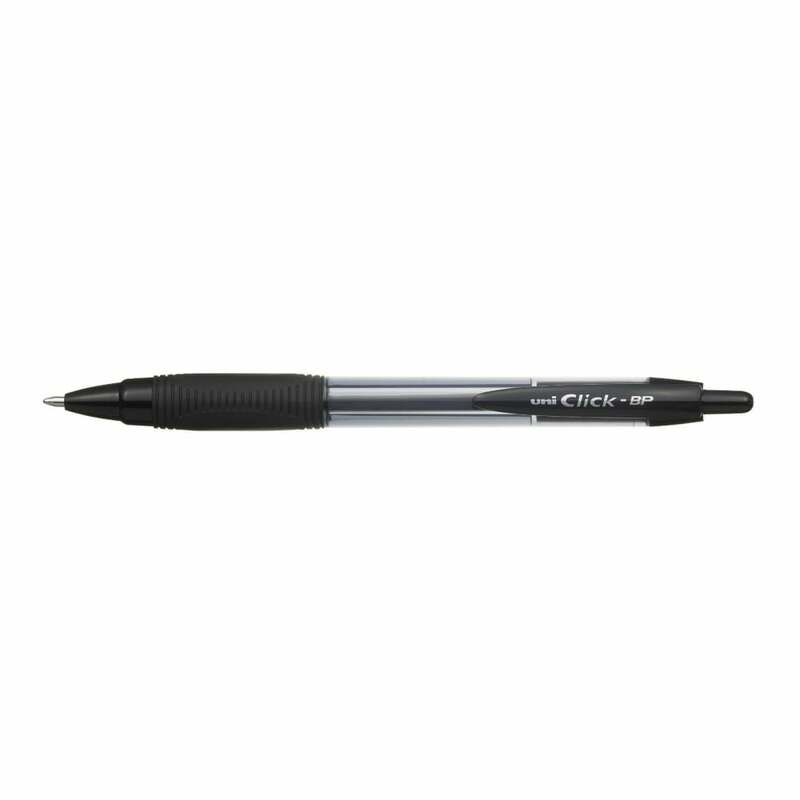 The Click BP is a high quality ballpoint pen with a rubber comfort grip for easy use. The ink has low viscosity making the pen write smoothly with no blobbing and skipping. The retractable mechanism ensures ease of use and no lost caps. This everyday pen is suitable for office, home as well as school. Medium 0.7mm writing line, black ink. A bit about the brand: Uni-ball usuper ink technology enables you to develope your images with a range of vibrant inks that will not fade or wash off.